William Butler Yeats (1865-1939) was born in Dublin. His father was a lawyer and a well-known portrait painter. 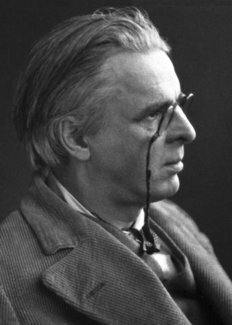 Yeats was educated in London and in Dublin, but he spent his summers in the west of Ireland in the family’s summer house at Connaught. The young Yeats was very much part of the fin de siècle in London; at the same time he was active in societies that attempted an Irish literary revival. His first volume of verse appeared in 1887, but in his earlier period his dramatic production outweighed his poetry both in bulk and in import. Together with Lady Gregory he founded the Irish Theatre, which was to become the Abbey Theatre, and served as its chief playwright until the movement was joined by John Synge. His plays usually treat Irish legends; they also reflect his fascination with mysticism and spiritualism. The Countess Cathleen (1892), The Land of Heart’s Desire (1894), Cathleen ni Houlihan (1902), The King’s Threshold (1904), and Deirdre (1907) are among the best known. After 1910, Yeats’s dramatic art took a sharp turn toward a highly poetical, static, and esoteric style. His later plays were written for small audiences; they experiment with masks, dance, and music, and were profoundly influenced by the Japanese Noh plays. Although a convinced patriot, Yeats deplored the hatred and the bigotry of the Nationalist movement, and his poetry is full of moving protests against it. He was appointed to the Irish Senate in 1922. Yeats is one of the few writers whose greatest works were written after the award of the Nobel Prize. Whereas he received the Prize chiefly for his dramatic works, his significance today rests on his lyric achievement. His poetry, especially the volumes The Wild Swans at Coole (1919), Michael Robartes and the Dancer (1921), The Tower (1928), The Winding Stair and Other Poems (1933), and Last Poems and Plays (1940), made him one of the outstanding and most influential twentieth-century poets writing in English. His recurrent themes are the contrast of art and life, masks, cyclical theories of life (the symbol of the winding stairs), and the ideal of beauty and ceremony contrasting with the hubbub of modern life. William Butler Yeats died on January 28, 1939. In 2018, 12 new laureates were awarded for achievements that have conferred the greatest benefit to humankind. Their work and discoveries range from cancer therapy and laser physics to developing proteins that can solve humankind’s chemical problems. 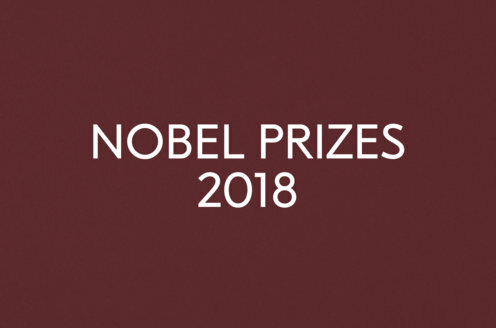 The work of the 2018 Nobel Laureates also included combating war crimes, as well as integrating innovation and climate with economic growth. Find out more.